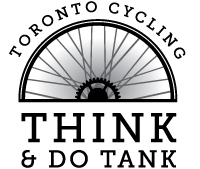 The Toronto Cycling Think & Do Tank is a research project hosted by the University of Toronto's School of the Environment. The School of the Environment has grown from the former Centre for Environment. It is located within the Faculty of Arts and Science, and serves as a focal point to help to direct students, faculty and the outside community to environmental initiatives across the three campuses of the university. U of T such as chemistry, geography, geology, human biology, physics, philosophy, psychology, and others. At the graduate level, interdisciplinary collaborative programs in Environmental Studies, as well as in Environment and Health, are offered in partnership with twenty other units at the University.